Damien's Belgian Waffles is a family run waffle dessert shop located on Chatham Street and No 1 Road in Steveston, Richmond. It has been opened for 11 years at the same location, and has since earned itself a loyal customer base of local and international visitors. 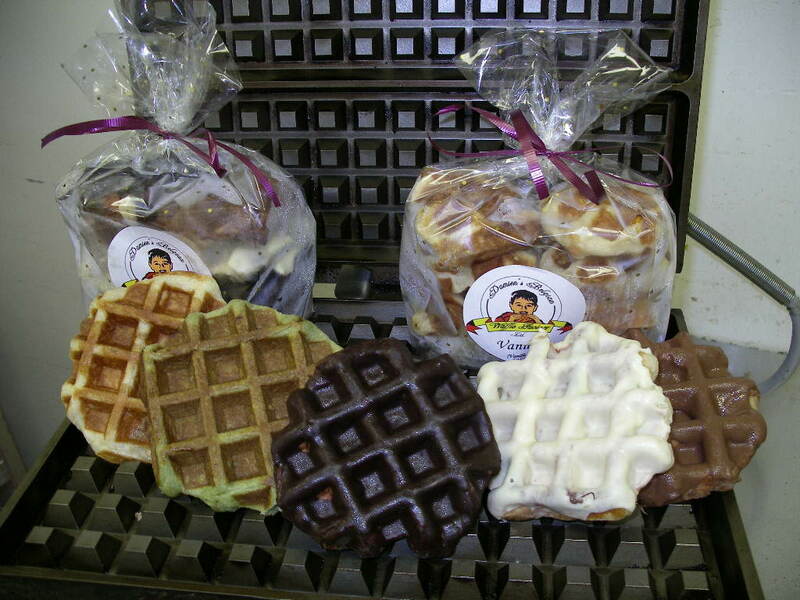 Damien offers freshly made liege waffles, which are a popular snack often bought and eaten warm on the streets in Belgium. 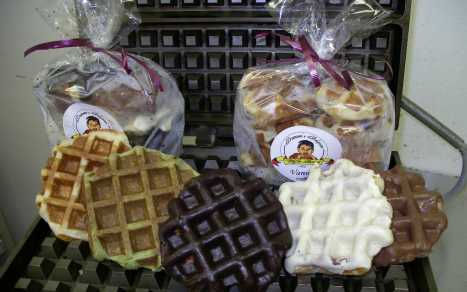 Its waffles are made with real butter, honey, and a special sugar from Belgium called "pearl sugar". They do not use eggs or preservatives in any of their waffles. You can choose from 12 different flavours of waffles: vanilla (original and best seller), matcha, cinnamon, yuzu (Japanese citrus), maple, cranberry, dark, white and milk chocolate, apple, caramel, banana chocolate chips. 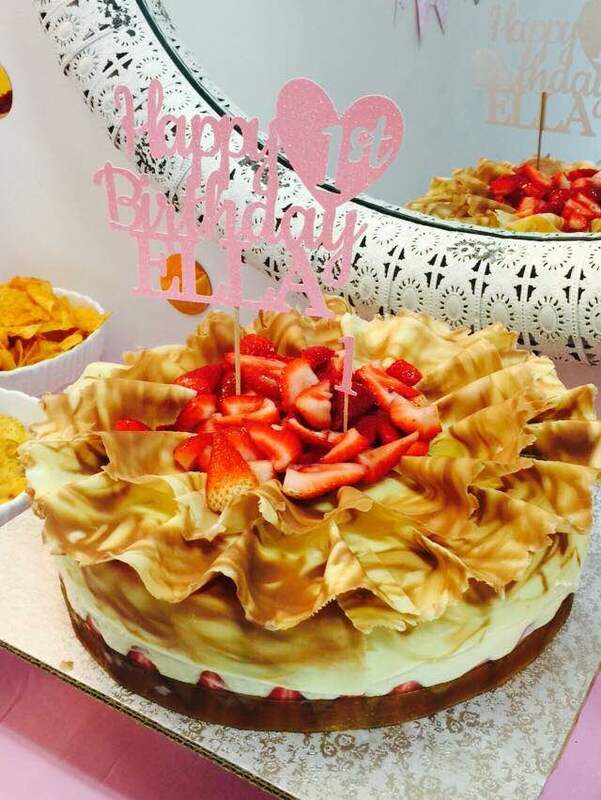 Aside from waffles, Damien also offers custom cakes (by advance order), and other pastries such as pie and crème brûlée.